Our mission is to provide the inspiration and tools for individual and global liberation through the practice of a conscious, committed and fearless lifestyle. 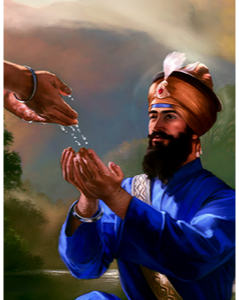 The mission will be delivered in a variety of ways, including: spiritual advising and training others to be spiritual advisors, teaching the technology of Kundalini Yoga and training others to do the same, and advocating for the worldview and code of conduct left behind by Guru Gobind Singh, the legendary 10th Master of Sikh Dharma. With the assistance of this mission, we envision a world free of fear, bigotry, corruption, social injustice and war; where each human being lives, breathes and dies in brilliance, in accordance with their God-given destiny; where true wealth is measured not by how much one possesses, but rather by how much one gives; where true leadership is guided by sacrifice and selfless service, rather than by self-interest and hunger for control; where the highest ambition of every human is to know the Truth, speak the Truth and be the Truth.